The SCR-268 was an operating in VHF-Band radar for gun laying and searchlight direction. 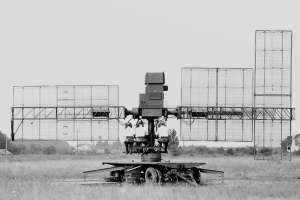 It was the US Army's standard early-war anti-aircraft radar system. In early use it was used to guide a searchlight which would then illuminate the target and track it visually from then on. The addition of lobe switching to later versions gave it the accuracy needed to directly guide the guns without the searchlight helping. The SCR-268s prototype was developed in 1938. 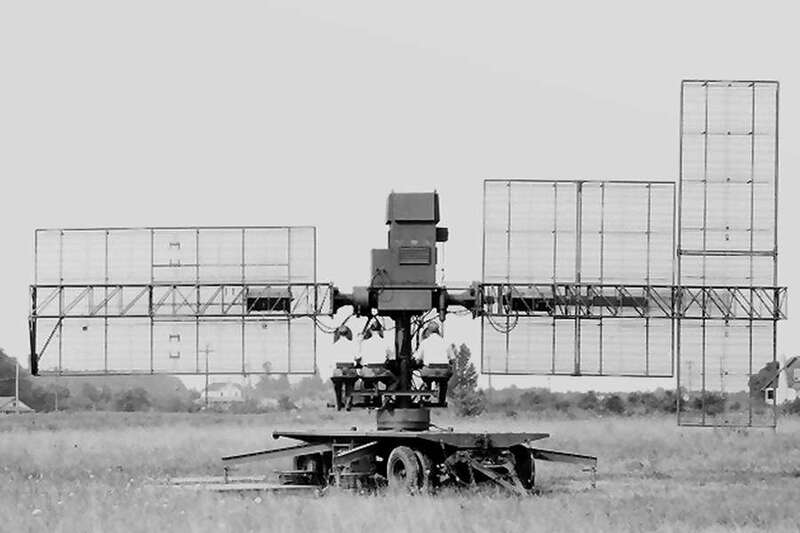 The radar was in use from May 1938 up to mid-1944. The serial production (39 each since 1941) was made by Western Electronics. The transmitter was a self-excited tuned oscillator consisting of 16 triodes in a ring circuit. The transmitter antenna consisted of 4 × 4 square array of dipoles. The vertical receive antenna consisted of a 2 × 6 rectangular array of dipoles, mounted long axis vertical on the right. The horizontal receive antenna was a 6 × 4 array of dipoles, mounted short axis vertical on the left. The indicators were A-scopes.